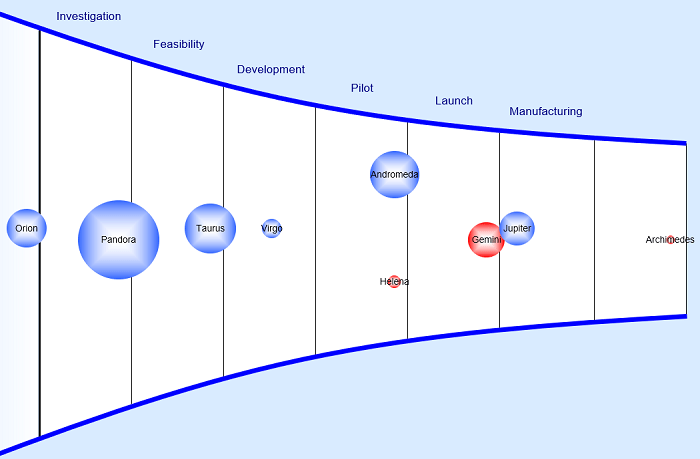 The PD-Trak project portfolio management system can track a large number of projects – a mature system would contain Proposed projects (either being assessed as possible candidates for future investment or are waiting for resources to become available), Active projects, Post Launch projects (completed but waiting for final assessments to be performed) and Closed projects. Data related to these projects can be viewed/analyzed in web based reports and using a variety of downloadable files. 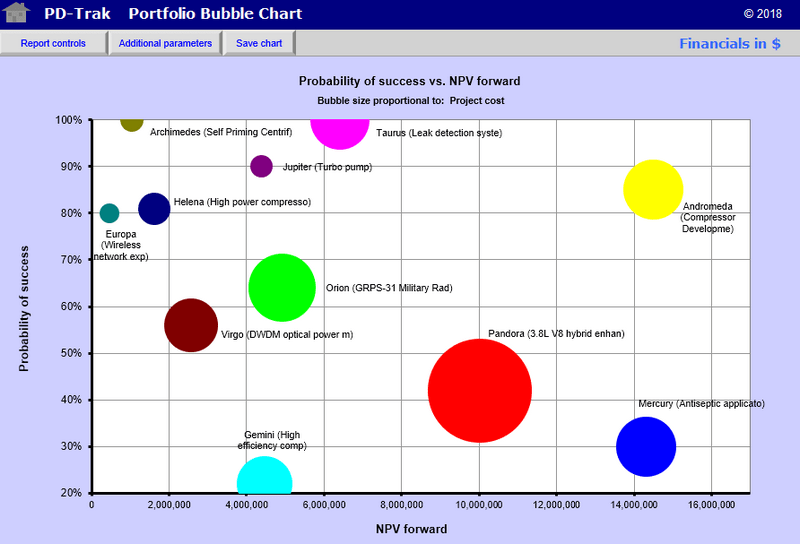 The primary web based portfolio report is the Project List. This report can be configured to display the metrics that are most important to your Management team. Alternatively, users can select their own default metrics that they want displayed when they open this report. 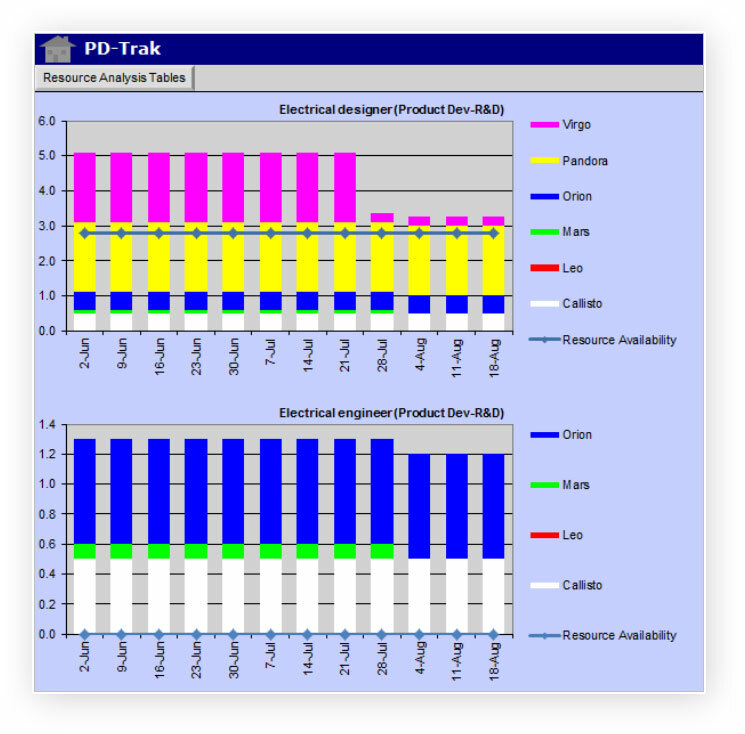 Additional reports available in the web interface include Project Count Stats (number of project in each phase, today compared to a base date), Project Timing Stats (displays the average time projects spend in each phase with comparisons of planned vs. actual and statistical variation) and Project Priority. Project prioritization is a key portfolio management activity. Managers must trade off long term and short term metrics with strategic importance. This report allows the relevant metrics to be mapped in to 5 columns for consideration during the ranking discussion. The overall rank, as agreed to by the participating managers is entered into the overall Rank column (yellow) and is saved to the database after which the Project Priority can be viewed in other reports.